Are "ARs" the only firearm people are interested in? some people are lemmings. also, when it comes to gun rags, they are like any other media, they follow or go with the trend or whats hot since the idea is to sell. there are +/- to the AR platform, but for me they are just another toy. i with re to the gun rags, i will scan the cover for any interesting articles and go from there. The barrel seems a wee bit short, and I wonder if SBR rules apply to muzzle loaders? Muzzle loaders aren't considered firearms, so I couldn't imagine something that isn't a firearm having too short of a barrel. You also have to remember just how FAR back the barrel on a muzzle loader starts. Look at the 1913 up top, comparing it to the Sight-Mark optic, I'd say that it's a five inch section. Looking at the whole pic, it looks like the barrel is probably a hair over legal, with the pinned muzzle device. Shall I define the zombie apocalypse as well? Just throwing a bit of humor in there, that's all. No, and what mags to you get? Try Joining the NRA and signing up for the American Rifleman. Actually there are several long gun related magazines where you will see 10 bolt guns to one AR. But ARs are very popular. I'm a bolt gun guy but I want an AR and will eventually get at least one. I would like an AR-15 and an AR-10 before the Libtards take them away. If somebody shoots up a school with a full auto, they'll ban those (even though the masses can't afford one) even with a class III license. They don't get it. It's not the gun, it's the nutt behind the Trigger! Sorry, got off track with that last couple sentences, but I get fired up about ARs. I mean I don't have a closet full, but I definitely like em and Hate it when they're attacked as if they're somekind of Ray Gun that the public shouldn't have. Gotcha. It DOES look a bit unbalanced to my eyes, but that's just me. And I still think it's a stupid looking muzzle brake/flash hider. I think the interest in ARs is waning. Glad I sold mine when I did, I could replace it for half of what I got for it, but choose not to. LGS has them in stock. I think it's horridly awesome!!! Grotesquely beautiful even. I love it when people slaughter sacred cows and hope the traditionalist get absolutely BENT over it. It's heinous. I love it. I kinda get the AR fad. Even if I am not really "of the masses", I can certainly understand that it's a good choice FOR the masses. While it may not be the "any idiot can keep it running" rifle an AK is, it is the "darn near anyone with more than twelve brain cells can build a functional one" rifle. If there's suddenly a gajillion of them out there for either use or spare parts, bombproof reliability becomes less of a concern. How about a Tactical Caplock? I kinda like it. But I "get" it. In a sick twisted way I like it. I didn't say I liked it. Just glad it pisses off the traditionalist that think cap/flint and ball are the only way to go. So, it meets their criteria. Choke on it! Its missing a Slidefire stock - thats why it looks unbalanced. 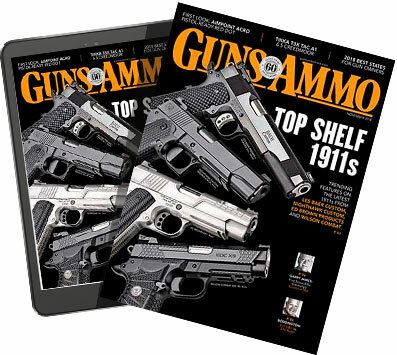 As for AR's in magazines - its what is selling right now. Can't blame them for writing articles on what folks are buying. Another way to look at it is: Americans traditionally have a piqued interest in what the military uses. I'm sure in 1907 the old timers wanted to see more article about their falling block rifles and were getting pissed about all those new fangled '03's. Hell, I stopped reading gun rags several years ago. Not because of ARs, but because of the lack of meaningful substance PERIOD! I get more pertinent information here than any magazine could provide these days. I get more pertinent information and fashoion tips here than any magazine could provide these days. Nope, that thing should have been on the end of a coathanger. That is slaughtering sacred tofu, tasteless and not worth doing.